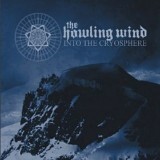 The Howling Wind managed to go under many radars with their second album from early last year. Somewhere between black metal and sludge with a hefty dose of Celtic Frost influence, this rumbling slice of aggressive hatefulness could really only have come from the hands of Ryan Lipynsky, also of miserable doomsters Unearthly Trance and once of black metal shamans Thralldom. Here with partner-in-crime Tim Call on drums, he’s mixed his various bands’ influences into one big crusty melting pot, replacing black metal sternness with punk rage. Icy cold in tone if not in sound, the band never sound less than at the verge of complete psychotic breakdown whether it’s the opening pummelling of The Seething Wrath Of A Frigid Soul or the relatively catchy Teeth Of Frost. Even the deceptive quiet of interlude Obscured Pyramid, ambience blasts of howling wind from some ghastly chthonic otherworld, has an ominous feel to it, strangely occult as if some mind-altering horror is about to lumber around the next icy mountain. Yet it’s not the interludes that stay with you so much as the old-Darkthrone-meets-crustcore blasts of venom that are the songs themselves. On the likes of Ice Cracking In The Abyss the band’s black metal influences really come kicking and screaming to the fore, deranged blasts and shrieks beneath gales of riffing. The mid-paced Will Is The Only Fire Under An Avalanche has a strangely epic melody, tugging at your ears even as they recoil from the shrieks. It’s like Primordial were invited into the studio to give an extra bit of stately grace to affairs, doing their grandiose pagan bit over The Howling Wind pounding away in the background. The sudden switch to icy austerity on the following Impossible Eternity is gripping, vocals changed to breathy whispers for chilling atmospheric effect. Finale A Dead Galaxy Mirrored In An Ice Mirage, meanwhile, may only be two minutes long, but they’re two of the harshest minutes of music you’ll hear this year. Fans of Unearthly Trance will find a lot of similarities between the two projects, especially on this album. Listening again to The Howling Wind’s debut, 2007’s Pestilence & Peril, the greater emphasis there was on black metal, yet for this haul up the mountains the cold dark sludge is what drags you back down again. Melody, songcraft, musicianship – all are secondary to the utterly bleak and frozen atmosphere of The Howling Wind, and this can make their music something of a one-note listen. Still, the fact you’re still reading this means you’re somewhat interested, and ultimately those who have heard of this project will be the ones to reap the rewards.